Dimensions 0.75 by 7.75 by 11 in. Amazon.com description: Product Description: Beholden to accepted assumptions about people and organizations, too many enterprises waste human potential. 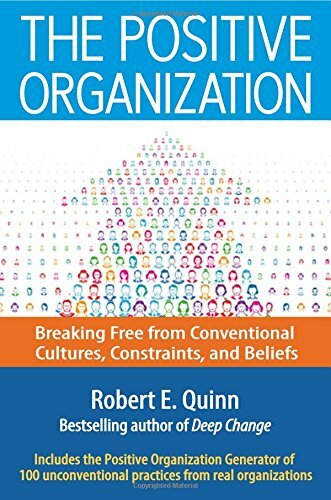 Robert Quinn shows how to defy convention and create organizations where people feel fully engaged and continually rewarded, where both individually and collectively they flourish and exceed expectations. The problem is that leaders are following a negative and constraining Ã¢ÂÂmental mapÃ¢ÂÂ that insists organizations must be rigid, top-down hierarchies and that the people in them are driven mainly by self-interest and fear. But leaders can adopt a different mental map, one where organizations are networks of fluid, evolving relationships and where people are motivated by a desire to grow, learn, and serve a larger goal. Using dozens of memorable stories, Quinn describes specific actions leaders can take to facilitate the emergence of this organizational cultureÃ¢ÂÂhelping people gain a sense of purpose, engage in authentic conversations, see new possibilities, and sacrifice for the common good. At its heart, the book helps leaders to see new possibilities that lie withinÃÂ the acknowledgedÃÂ realities of organizational life. It provides five keys for learning to be "bilingual"--speaking the conventional language of business as well as the language of the positiveÃÂ organization.ÃÂ When leaders can do this, they are able to make real and lasting change. About: Beholden to accepted assumptions about people and organizations, too many enterprises waste human potential.